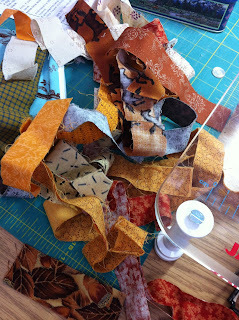 And on a piece of batting that was about 7"x9", I started sewing strips down, quilting as I went. The first strip goes on right side up and then the next strip right sides down on top of the first strip, lining up the edges. Sew a 1/4" seam and press open. Repeat on both sides of the first strip until the batting is covered. 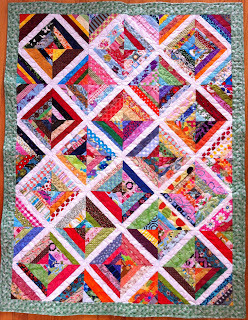 Trim square - I trimmed mine to 6.5"x8.5". 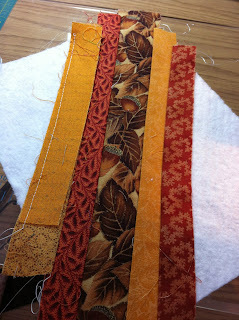 Add backing fabric and bind as you would a normal quilt. 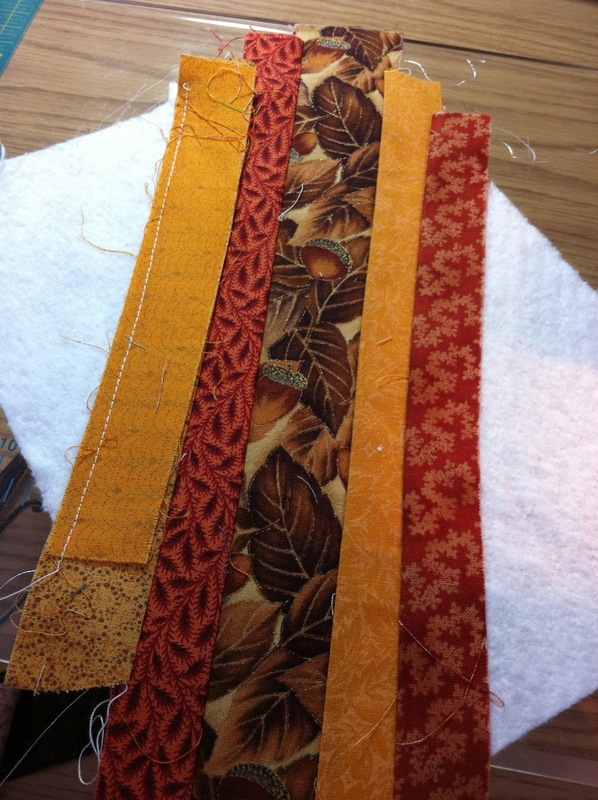 Or if you're adventuresome, try turning your backing fabric to the front as binding. 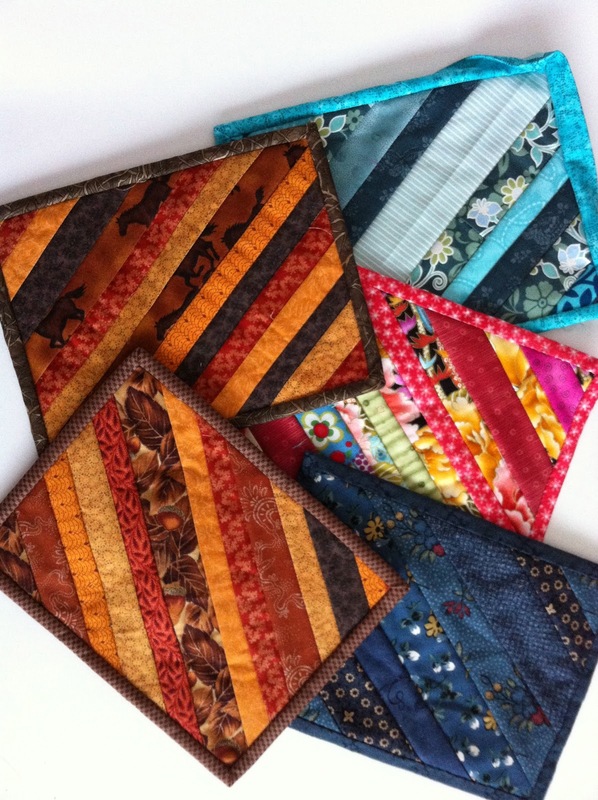 And there I have some mug rugs (snack mats) that used up some of my scraps and hopefully will be great sellers at the craft sale I'm in on Saturday! Hope they sell well for you Ann - they are very cute and a GREAT way to use those strings! I love all string things! Good luck at your craft sale. Amazing what you can do with strips and strings. They look delightful. Ann ~ I love the mug rugs, especially the autumn colors! Good luck with the Sale! They are great Ann and I was actually thinking of doing the same thing ,great to see how they look! What a great (and fast) idea, I will have to disseminate (aka steal ;-)) it. Hope you'll have lots of success at your sale! I hope you are successful at the craft sale. 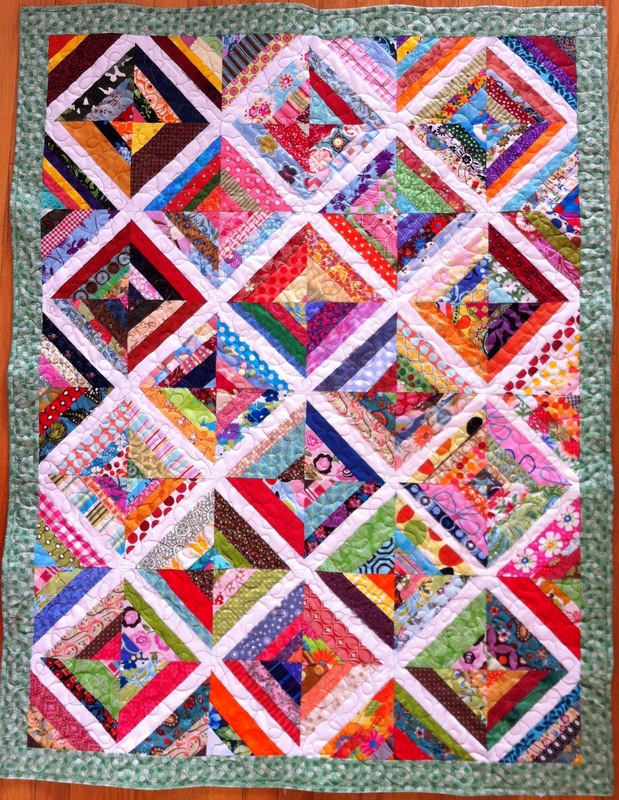 String quilts are my favorite!